Dr. Clark passed away at age 92 on Feb. 25. 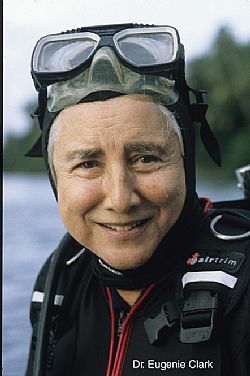 Her career spanned nearly 75 years of groundbreaking marine research focused on sharks and other fishes, along with teaching, writing and outreach that touched countless lives and helped people around the world become more ocean literate. She was also honored by Sarasota County on Tuesday, March 17, when county commissioners presented a Certificate of Recognition to Mote leaders. Messages and photos will be shared with Dr. Clark's family, and a selection may be used for Mote's public outreach. If you provide photos, please include caption and credit. Read about Dr. Clark's life.